What’s the Best Font to Use for My Blog? Fonts may seem like an afterthought when creating and developing your blog. However, they play a big role in usability and readability. No two or more fonts are the same. Each has characteristics that make them unique from the other. Therefore, by using a particular font for your blog, you set the tone for the kind of blog you have. At the same time, you can’t choose any font at random and run with it. You need to consider the different factors that render a font face the “best” by standards. 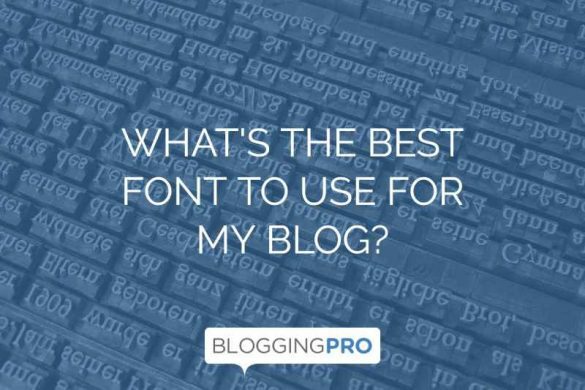 In this post, you will learn the questions you need to ask yourself to answer the choice of font face blog that will help improve your blog’s usability and readability. How common is the font across all platforms? Choosing a font installed on all operating systems will help you display your blog correctly. If you choose a font that is not common across all OS, then you risk compromising the layout and display of your blog. According to MIT, the three most common font faces are Arial/Helvetica, Times New Roman/Times, and Courier New/Courier. This reason is why you rarely see a site or blog that uses fonts other than these three. Other fonts that you could choose for your blog are Palatino, Garamond, Bookman, and Avant Garde. Choosing another font other than the ones featured above may not yield positive results to your blog’s layout. How can my fonts help me stand out? Choosing tried and tested fonts doesn’t help your blog stand out from the pack. While these fonts do increase UI and readability, they don’t make your site any memorable than the ones before it because everybody uses them. If you’re concerned about being stifled by your blog’s font, don’t. According to a study conducted for Neuro Science Marketing, the use of fancy and hard-to-read fonts on a restaurant menu led people to assume that the food is prepared by a high-level chef! Even though this may or may not be the case, the font allowed the menu to push a certain narrative about their restaurant from the menu’s font. Applying the same principle to your blog, don’t be gun-shy on using fancier fonts. 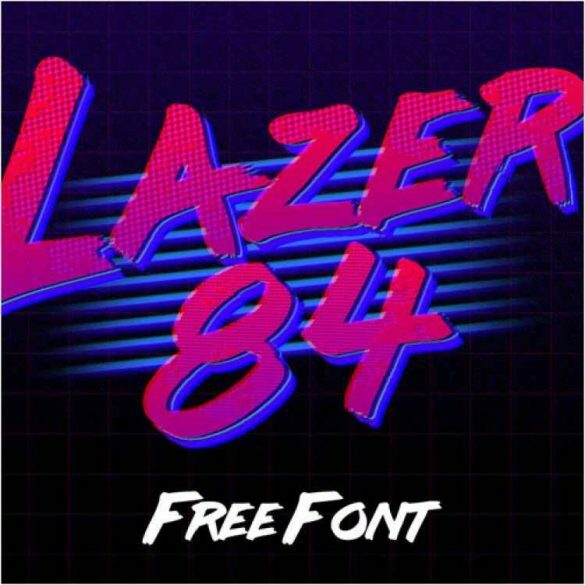 For example, if you have an ’80s-themed blog, use any of fonts here as your header. You can then use the more common fonts on your content body to strike a balance between style and usability. Just make sure to prepare an alternative font for your header in your CSS code so you still have control of how your site will look. How big should my blog font be? To answer this question, you need to know how wide your blog width is. According to the Golden Ratio Typography, the values of your font size and content width are interrelated. If your content width is wide, then you need to make your font bigger as well. If not, then each line of text in your content may have more than enough words for comfort. To find out the right values for both factors, you can use the Golden Ratio Typography Calculator. It lets you compute for the optimized figures for your content width and font size. It also you the right characters per line (CPL) so you avoid overloading each line with too many words. The tool also features a preview of a blog using the values you entered. You can also toggle the font you plan on using for your blog so you can better visualize the layout. Once you have the right values, it’s time to edit your blog settings. If you’re using WordPress for your blog, you can choose themes like the Thesis or Genesis Frameworks, the font size and body width are already optimized for so no tweaking on your end is necessary. However, for custom themes, you need to find to change the font size and content width in its settings or edit the CSS style. Maintain the font for certain types of content. For example, code font should be in Monospace, etc. Colors, Fonts, and Layout: How Do You Get Started with Blog Design?